Far right supporters of Colombia’s President Ivan Duque have accused one of the country’s leading opposition leaders of receiving drug money. According to the opposition, the claims made against former presidential candidate Gustavo Petro are nothing but a distraction to divert public attention away from a growing scandal over the bribery practices of Brazilian engineering firm Odebrecht in Colombia. While Congress was debating the role of Prosecutor General Nestor Humberto Martinez in the corruption scandal, far-right Senator Paloma Valencia of the ruling Democratic Center party surprisingly took aim at the opposition and showed a video of Petro receiving bundles of cash. According to Valencia, the video meant to prove that her center-left opponent lacks the moral authority to “destroy institutions” that are implicated in one of the most devastating corruption scandals of the past decade. 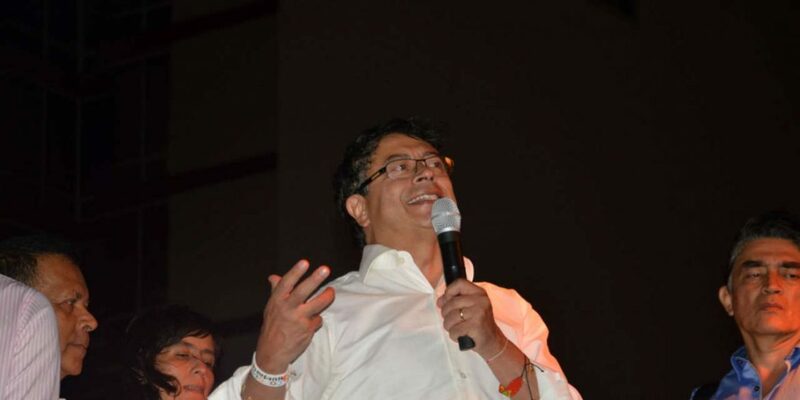 De la Espriella asked Prosecutor General Nestor Humberto Martinez to investigate the opposition leader. The Supreme Court wants Martinez and the entire Prosecutor General’s Office off the Odebrecht case because of the chief prosecutor’s alleged involvement in trying to cover up the bribery practices. According to Petro, the video is from 2004 and show him receiving legitimate campaign contributions. Senator Jorge Robledo (Democratic Pole), who has been leading the call for the chief prosecutor’s resignation, accused Valencia and De la Espriella of trying to divert attention away from the Odebrecht debate that implicates not just Martinez, but also President Ivan Duque and his predecessors Juan Manuel Santos and Alvaro Uribe. Petro will have to give his explanations, but don’t tell me this is not political cunning, it’s a shameless way to protect the chief prosecutor. Martinez said that would forward De la Espriella’s criminal complaint to the Supreme Court, which is the indicated body to investigate elected politicians, and would open criminal investigations into Petro’s political associates.